Avon has come a long way since its creation many moons ago, when the only products in the range were a toothbrush, a talcum powder and vanity set. And I bet you didn’t know that the brand name was inspired by Stratford-on-Avon no less! Apparently, its American creator visited England and was so taken by the beauty of the countryside surrounding the town that he changed the company name to Avon in 1939. Today, the brand is globally successful and six million women see an Avon brochure every three weeks. This Christmas, there’s lots of lovely beauty buys, gift sets and palettes, plus a new make-up collection called Luxe which contains ingredients such as silk, black diamonds and orchid. Sounds rather exotic, doesn’t it? 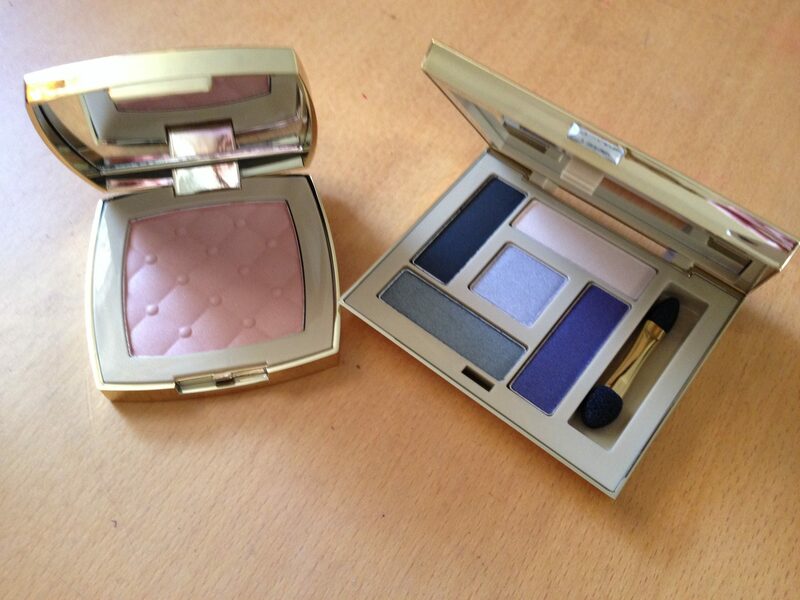 I think the palettes are especially well-priced so I’ve chosen to feature those, plus the lovely Luxe Glitz Shimmer Powder (£10, below left) which gives skin a radiant glow. 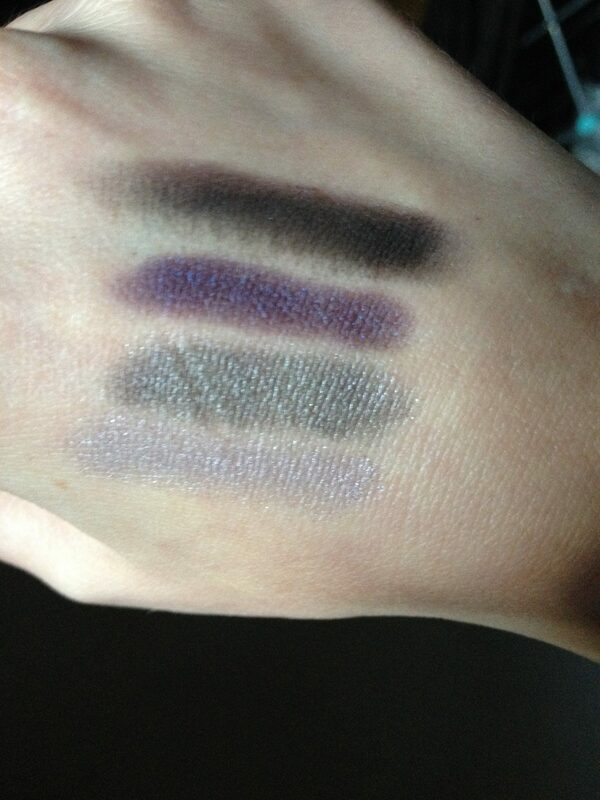 The Luxe Eyeshadow Palette (£10) comes in six wearable colourways – here we have Purple Smokes. Containing five matte and pearlised shadows, colour pay-off is very good and the packaging looks classy. 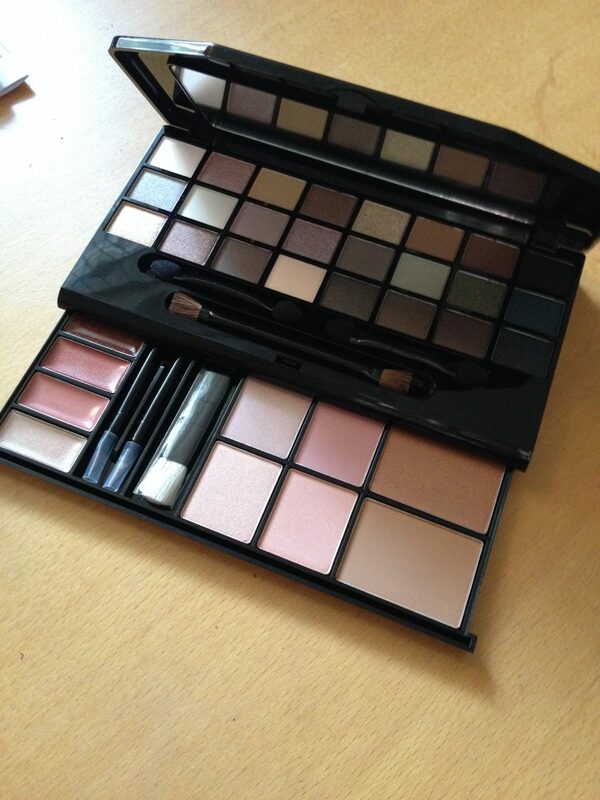 I really like the Pretty In Neutrals Make-Up Palette (£30), it’s such a good price, handy for travelling with and look at all that make-up – some great shades in there for eyes, cheeks and lips. However, the lip and cheek applicators are a bit on the flimsy side and the bottom pull-out tray is a bit stiff when sliding out – but maybe that’s me! Check back soon for reviews on some of the other new products, including the Luxe Silken Foundation and Couture Creme Lipstick and Lipgloss. For stockist details, visit www.avonshop.co.uk. OMG I have to give these products a try–they look amazing! Great review by the way.